And so begins the first in a series of swatches gathered from my bountiful Thanksgiving trip to San Francisco last week...first up, the Tom Ford Traceless Foundation Stick, thoroughly reviewed HERE! The warm and generous Joachim (a Tom Ford specialist) and the Beauty Professor commiserating together at the Tom Ford counter at Neiman Marcus, Union Square! Swatches on the horizon...Tom Ford Ultra Shine Glosses, Tom Ford Blushes and Tom Ford Traceless Liquid Foundation! I'm not normally a fan of stick foundations but I'm liking the shades of this one - and being Tom Ford, I bet it applies like a dream! It is amazing indeed...highly recommended, Hannah! 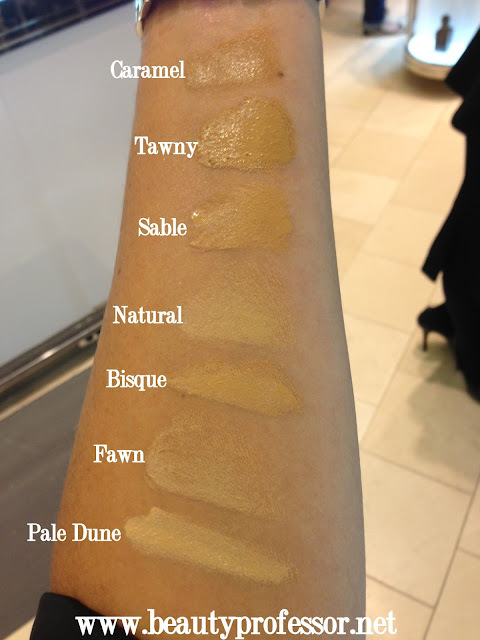 Awesome swatches...but I wonder, are those all the darker tones? Other than that, great variety. Thanks for your question...because it was dusk outside, all of these shots were taken in indoor light, hence the darkness...I will make sure to add my flash shots, which might give a better depiction of how light they truly are! I think you would love this...let me know what you think after this weekend!!! 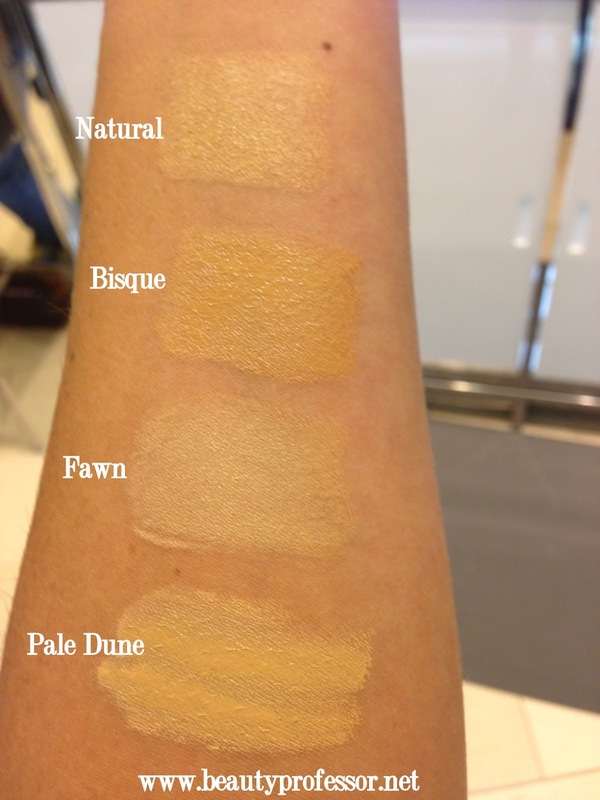 Lovely swatches of the collection! Heading over to the full review now! Hello Sasha...so good to hear from you! 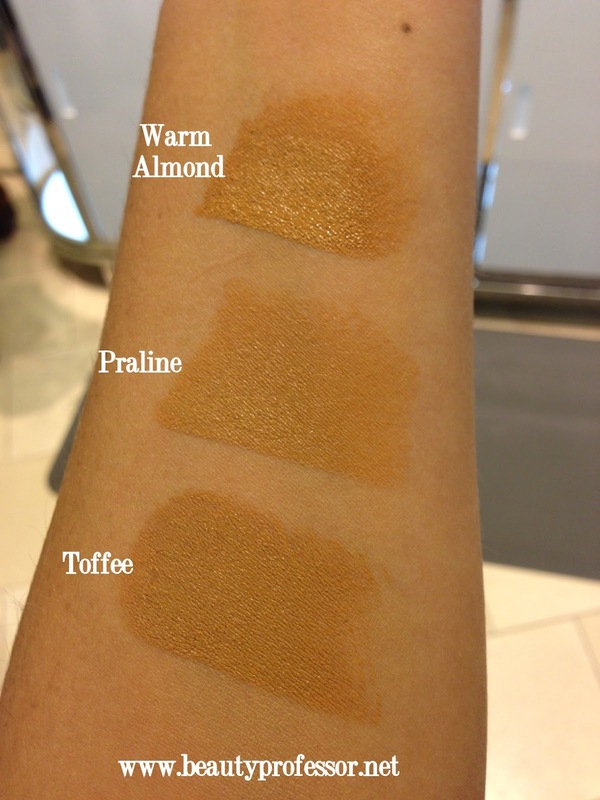 This is one of my favorite foundation formulas, hands down! I really love your blog for you really tell us what is the best one to buy out. I am looking for a foundation that could match my skin and I think this is the one I need. I'll grab one of this. Thank you, E!! This foundation is definitely in my top three and is always in my purse. Hope you find a great match...let me know what you think! Love your blog! Does NM at SC Plaza carry Tom Ford makeup? Thanks so much for stopping by, Bengaltiger!! In response to your question, unfortunately, no! The Neiman Marcus in Beverly Hills (on Wilshire) is the only store in the OC/LA area that carries the full line. Nordstrom at SCP does, however, carry the lip color (lipstick only), nail polishes and fragrance! Joachim is great, isn't he! While getting the wrong colors last year, he helped match me to Fawn for the exchange. I love the color for me. Also, I really like stick foundations for touch ups and travel. Joachim is fantastic!! I had such a wonderful time with him...he is so warm and extremely knowledgable. That is so cool that, despite our different locations, we've interacted with the same TF specialist...small world indeed! So glad you found a shade that you love...this stick is amazing! Hi! I'm looking for a lighter color wo a red undertone. Wondered if 05 Natural in a stick would be close? I also have sensitive skin and need a foundation that doesn't clog pours but does offer coverage. Any suggestions? Natural has no red undertones...it is definitely a yellow-olive beige shade for light-medium skin tones. Hope that helps! I got this after wanting it for a very long time and I was NOT disappointed.... It is just fantastic! Hi!! 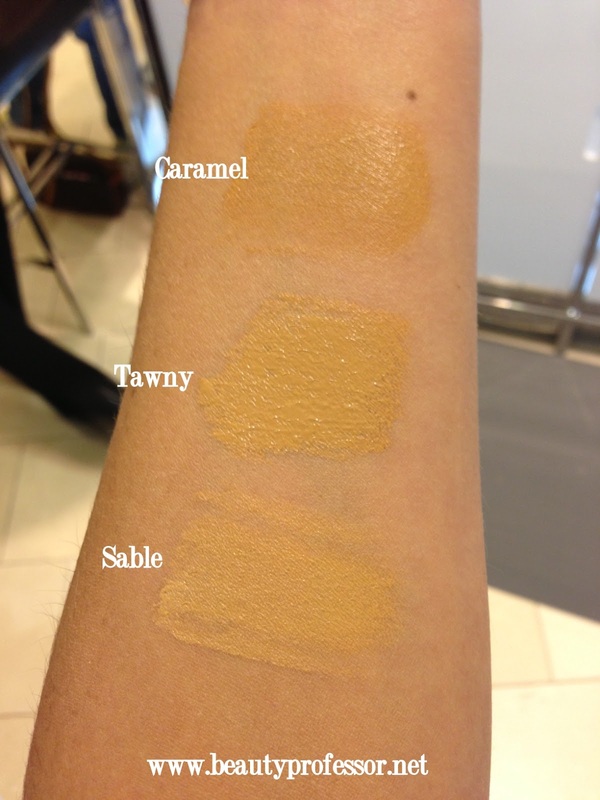 Do you know what the closest match is to Lancome photo luminescence in Bisque 1 (N)? I really want to try this product but don't live near a counter so I have to order online. Or is there a way to order samples to see the colors?